Budget Plants, Pretoria. Welcome to the Davley Organics Family. Budget Plants R3R5 Nursery, Lynwood Road, Pretoria, recieve their first order of vermicast and vermileachate today. Welcome to the Davley Organics family. Pop down today for the chance to get your hands on a bit of “the good stuff”. Vermicast organic fertilizer is available in small bags at 20dm and big bags of 40dm. 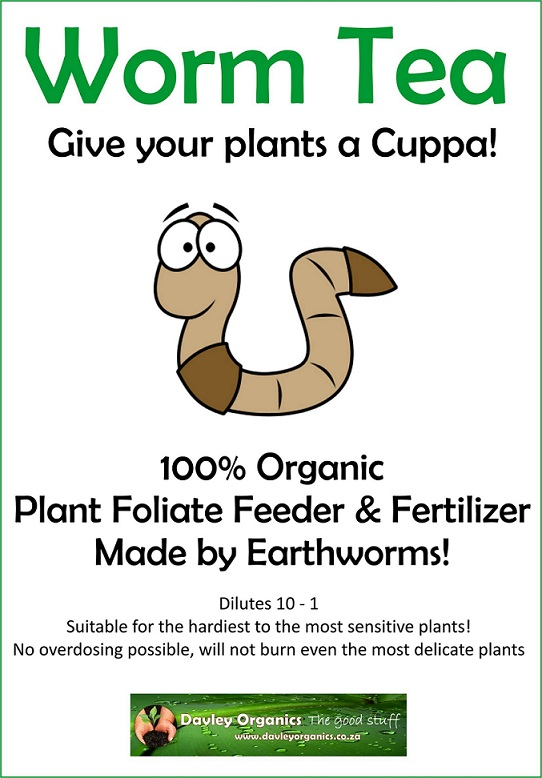 Worm tea, perfect for your potted plants and hydroponics will be available by the 2l bottle. For more info on Worm Tea, check out this Article. Click here to view our stockist list and for maps and directions to Budget plants, see our stockist map here or contact them directly via there Facebook page here.